“[It was a] poor decision [by Michelle-Lee Ahye to shut down her social media accounts]. The PR people will tell you bad publicity, good publicity, it is still publicity nonetheless; and it is about how you use it. “Being a professional athlete, she makes money from running but her social media platforms help. Your sponsors want to know how many followers you have and how you can help them sell product and how you can help influence people towards their brand and their product. 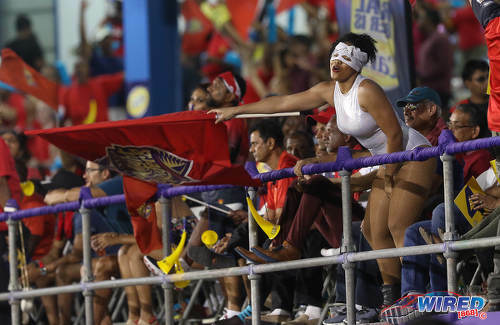 A super fan cheers on the Trinbago Knight Riders during CPL action against Barbados Tridents at the Queen’s Park Oval on 12 August 2017. 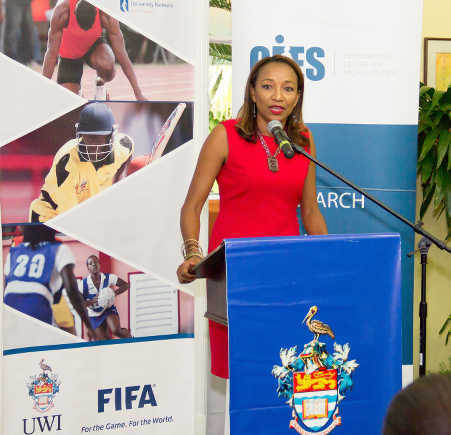 Wired868: So what can you tell us about the UWI/FIFA/CIES Post Graduate Sports Management programme? Sherlan Cabralis: So the programme has been in existence for eight years. It is affiliated with CIES—the International Centre for Sport Studies—which is situated in Switzerland, and that particular institution is the educational arm for FIFA. So between FIFA and CIES, they developed a memorandum of understanding to start this programme, which is an international programme offered in 16 other countries. Basically what FIFA was trying to achieve was ensuring that all administrators involved in football are trained at a basic level, so they understand the business of sport. Some of the courses that are mandatory in the programme are event management, human resource management, communication, finance and law. So it gives you an overall perspective of running a sporting organisation as an administrator but really from a business perspective because it is a management degree. Wired868: Have you all had many students from the various sporting associations over the years? Cabralis: That is our biggest challenge. We’ve had a couple and I can highlight them. There was Annette Knott, who is general secretary [of the TTOC] right now. Recently, we had Geoffrey Edwards, who is president of Futsal. We also had Camara David, who is the former general secretary of the Super League and the current Super League general secretary,p Peter Thomas. There there is also Damion Mora from Volleyball and Dzifa Job and Winston Sobers, who both work in the media. Photo: International Centre for Sports Studies (CIES) chairman Pierre Cornu (right) engages a student during his lecture on sport governance at UWI, St Augustine campus on Saturday 9 September 2017. 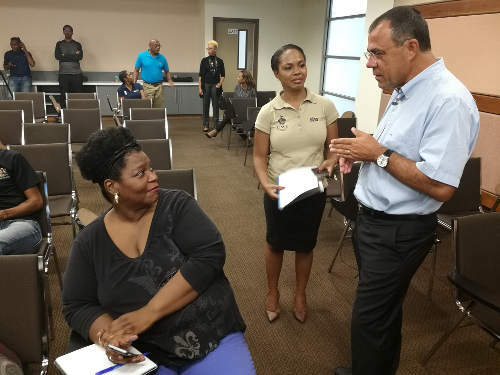 Looking on (centre) is UWI administrator Calisa Gregoire. Wired868: Does the course have more relevance to football than the other sports or is it universal? Cabralis: It is universal, for all sports. It is sport management and from the diversity of the people who sign up—even though they aren’t always decision makers or on the boards in their associations—from football, volleyball, badminton, tennis, hockey. We will have students from across the board who have some interest in a sport or are attached to a club. Usually they have a passion for sport, which is what attracts them to the programme. 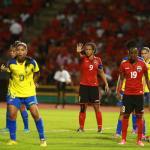 Wired868: Will there be anyone from FIFA presenting this time? Cabralis: The way that it works is it is a three-semester programme and FIFA would send a guest lecturer for every semester, depending on the topic that we feel is relevant. If we feel good governance is the topic at this point in time, or event marketing, we would ask for somebody with that kind of training or background. We have had quite a list of people over the years. As far as our local lecturers go, there is Tyrone Marcus (Sports Law), Kairon Serrette (Sports Finance), Camara David (Management), Roger Watts (Communications), Suruj Ragoonath (Marketing) and myself for events and facility management. 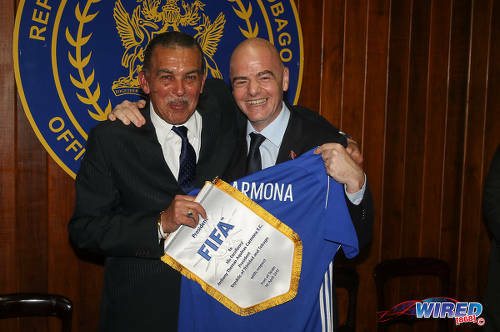 Photo: FIFA president Gianni Infantino (right) bears gifts for then Trinidad and Tobago President Anthony Carmona during a courtesy call at President’s House in St Ann’s on 10 April 2017. 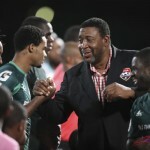 Wired868: Is the TTFA involved in any way or do they have any particular relationship with this programme? Cabralis: No, none whatsoever. We have reached out to them; and I must say [TTFA general secretary] Justin [Latapy-George] has been a regular participant. He comes to the public lectures. I’ve seen him on many occasions. But that’s it. I’ve recently reached out to them and told them it would be a nice gesture to offer some scholarships to their administrators. The programme is TT$24,000 in total for the three semesters and it is Gate-approved, so you are really paying TT$12,000. So my suggestion was why not offer five or ten scholarships and utilise the FIFA training budget to get your administrators in football at the level that we really require them to be. But I was told they would send out the information and follow up. So we are hoping. Wired868: Can you tell us a couple of the topics you have done over the years? Cabralis: What we try to do is guide students to understand that good governance should be demonstrated through transparency, responsibility, accountability and participation by all stakeholders. The other thing we try to do is encourage administrators to take responsibility for their own governance standard. Wired868: I’m guessing there is material benefit from good governance too and it is not just a feel-good exercise? Cabralis: Of course. It is an attitude of mind. If you operate on an ethical level, good things will happen. If you have good governance, your branding will be of a particular quality, which means you will attract sponsors, you will attract better human resource. It is about developing an environment and a culture that will move your organisation in a positive way. Wired868: Are there courses in trimming the fat and ensuring that companies are structured to maximise their human resource? Cabralis: Yes. We do have a class on human resource management in sport. Ahmm. The approach that we use is really looking at leadership. So we work on teaching people to be good leaders; I mean, there is the old adage that leaders are born and not made. Please. You train people to be leaders. There are different types of leaders; you lead from in front, you lead from within, from behind. And there are certain qualities that make a good leader: an effective communicator, calculative risk taker, team builder, facilitator; these kinds of things. To go back to your point about trimming, when you are a good leader, you will be able to pick the right team. Not everybody can make the team, can they? So you pick the right players and you won’t have hang-ons. So you trim the fat. 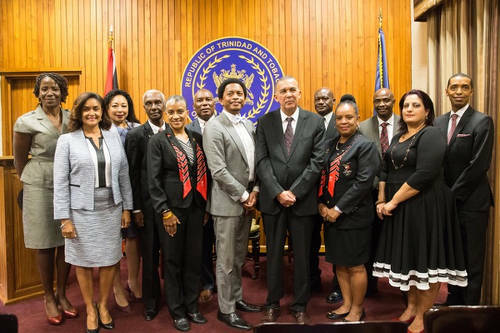 Photo: (From left to right) Reyah Richardson (Executive member), Giselle La Ronde-West (Executive Member), Racquel Moses (Trustee), Dr Terry Ali (Vice -president), Diane Henderson (Vice-president), Ephraim Serrette (Vice-president), Brian Lewis (President), His Excellency Anthony Carmona, Curtis Nero (Treasurer), Annette Knott (Secretary General), Dave Williams (Trustee), Nadine Seemongal (Assistant Secretary General), Wendell Constantine (Executive Member). We teach you how to be a good leader, about good HR practices and hiring the right people for the job and ensuring continuous training. Sometimes people fail to recognise that even though I’m capable of doing the job today, we live in a dynamic world and we really need to keep people [up to date]. Ongoing training is very important. Life is about constant change and we have to train people to adapt. For instance, when we look at sport people today, they are their own marketing tools because they are always online and on social media. If you have somebody who is old school who thinks [spending] too much time on your phone or behind the computer is not good for you because you are disconnected, then they are out of step with the rest of the world. I have to get my students to understand that it is not about trying to block the use of it but capitalising on these new platforms that athletes use and your customers use and your stakeholders use. And we need to train you to understand how to use this. Wired868: With a situation like Michelle-Lee Ahye and the controversy over her exchange on social media, what advice would you give to the sporting body or Michelle on dealing with something like that? Photo: Commonwealth Games 100m champ Michelle-Lee Ahye (right) is the focus of world attention after capturing the title on the Carrara Stadium track on 9 April 2018. Cabralis: Well… (Pause) like anything else, you have to face it head on. You had a conversation on the platform—good, bad or indifferent—and people are privy to everything that you say. You can’t take it back. So you own it and [understand] your power. And I should go back to our training on governance and code of ethics, which should touch on things like this. You have to have the conversation with athletes about the power they have now more than ever because of social media. What would I tell them? Just face the public, address it and find ways to move forward. That’s all I can say really. Wired868: Why do you say that? Cabralis: The PR people will tell you bad publicity, good publicity, it is still publicity nonetheless. And it is about how you use it. Being a professional athlete, she makes money from running but her social media platforms help. Your sponsors want to know how many followers you have and how you can help them sell product. And how you can help influence people towards their brand and their product. 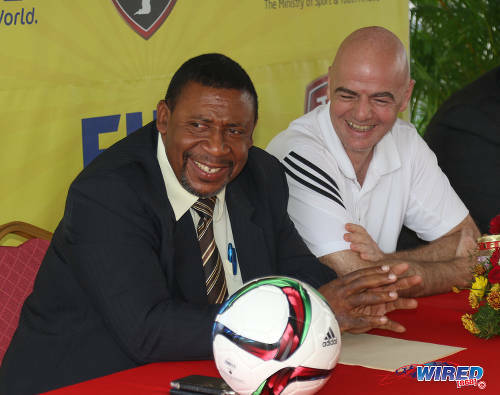 Photo: UWI Sports Management Lecturer and UWI/FIFA/CIES Programme Director Sherlan Cabralis. 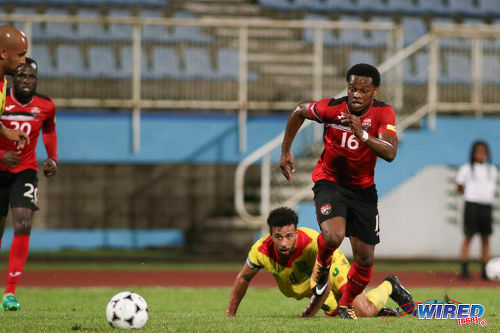 Wired868: When you look at the sporting industry in Trinidad, do you see half-full, half-empty or all the way empty? Cabralis: Half-full. I am an optimist. As a Trinidadian, I think we excel despite the challenges. If you love sport, you play despite the issues. You might have limited trust or expectations in the people who are running that particular organisation but, regardless, I, as an athlete, am going to come out and play hard and try to excel. So that side is half-full. Now if I look at the administrative side and, if I have to be critical, I’d probably say it is a little under half-full. (Laughs). But this is where UWI comes in because we want them to be full and brimming over. That is why we developed this programme, so we can get them to make the athlete feel comfortable and lift their expectations. I, as the administrator, have to realise that I have to change. Our programme is there to give you the tools to deliver to the athlete. Ultimately, that is the reason why you’re in that position, to service the athlete. As an administrator, you should be a servant-leader. Wired868: What would you count as successes for the programme over the years? Have your made any impact on the environment at all? Cabralis: Well, our successes would be our students. Also our expansion into the Caribbean. Because our [course] is now [done through] blended learning, we are able to target administrators throughout the Caribbean. So ultimately, this thing doesn’t just benefit Trinidad but the entire Caribbean. Wired868: What is blended learning? Cabralis: Blended learning is where you have a percentage of learning that is face-to-face and a percentage that is done online. The way that we blend it is 10 percent face-to-face and 90 percent online—so the student will come for one week on campus and then after that they are online for the entire semester. They take their exam in whatever country they are and they come back for the first week in the next semester and then go back online. The structure of the programme caters for professionals and the same administrators we are trying to target because they might be travelling or they have other full-time jobs—as we are still in that volunteer era—so an online class at 8pm or 9pm fits into their schedules better. So you can come online at 8pm and interact with your lecturer and the class. Or it is taped and even if you don’t make the class, you can still view the session and see what happened. It is well put together to deliver to our market. Wired868: What do your students tell you, after they graduate, about getting into the sport industry? Cabralis: Hmmmph! You want the truth or to hear something nice? (Laughs) Well, like in any industry when you are trying to get a job, there are challenges. There are people who are already there. But I remind them that there are very few people who get a degree and just step into a job. And, specifically for sport, I advise them to get involved and to volunteer. You have to network. And that’s life; life is about networking. 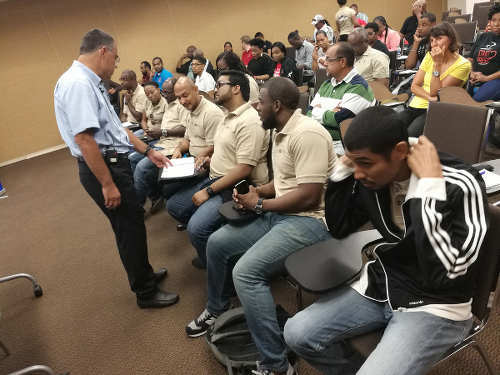 Photo: International Centre for Sports Studies (CIES) chairman Pierre Cornu (left) engages with students during his lecture on sport governance at UWI, St Augustine campus on Saturday 9 September 2017. Even before they’re finished [the diploma], I tell them if you don’t get involved from now, when you leave you are going to have a harder time getting into the system. Get involved as soon as you can. Volunteer, be a part of the [sport] community. Do something—and that goes across the board for all professions—you don’t just walk outside the university door and get a job. So we have to understand the challenges. Wired868: How do you see this diploma impacting on the sporting industry in the short to medium term and what would the improvement look like? Cabralis: I always say if we all speak the same language, we will always excel. If we are all speaking different languages, there is no way we can communicate effectively. So for the future, I believe the more people we have coming out of the programme and understanding that sport is a business and has to be treated as such and we speak the same language and we have similar vision, it can only change. But change is a slow process. We recognise that it won’t happen tomorrow. But with the number of students coming out of the programme, there will be change. Wired868: We hear a lot about the lack of resources for sport. Do you think sporting bodies can ever be self-sustainable or would it always be about trying to be the best you can be but forever reliant on the government for most of your operating costs? 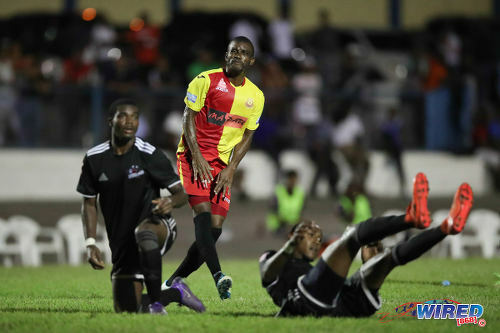 Photo: North East Stars attacker Kerry Baptiste (centre) grimaces after a missed opportunity during Pro League action against Central FC at the Arima Velodrome on Friday 8 September 2017. Looking on (left) is Central FC utility player Tyrik John. Cabralis: All sports are reliant on sponsorship—regardless of if it is the government sponsoring you or a private institution sponsoring you. I think sometimes we need to be very clear about sport financing. Sometimes we look at financing from the government as an evil or a failure but sport is a public good and the government sees the benefit of sponsoring sport, just like Carib or the banks do. So government funding is a perfectly acceptable form of sponsorship; where the issue lies is the product that is sport. Sporting entities need to know what is their product. The product is not just the game; it is also everything before and after the game, it is the service that you give, the environment that you have people in, the offerings, the emotions. All the time, you hear that they go to the government for sponsorship and say ‘This sport takes people off the street.’ No, friend, you have to develop [your product] at all levels, so you will get more people wanting to participate and be a part of it. It is not just about the sweat on the pitch. 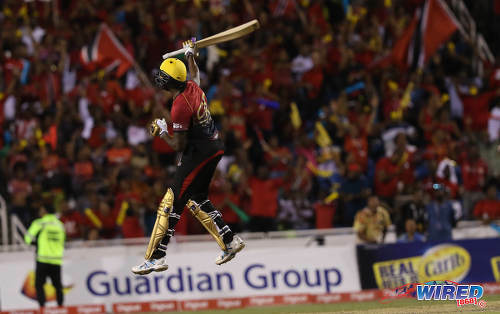 Photo: Trinbago Knight Riders batsman Kevon Cooper celebrates a match-winning knock during the CPL final against St Kitts and Nevis Patriots at the Brian Lara Cricket Academy in Tarouba on 9 September 2017. 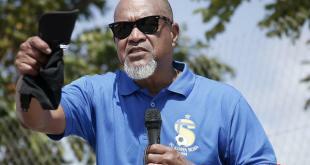 Wired868: How do sport bodies service the Government? 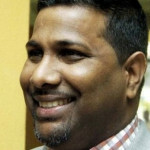 Cabralis: By having an effectively run organisation where leagues are run properly, people are participating and there is no bacchanal in the papers every two minutes pointing to bad governance and people using money for things they aren’t supposed to. You have to make sure you develop programmes and you go out there and reach the communities that the Government is trying to reach. Make sure when the Government gives you your $50,000 or $50 million that you maximise it and that there are not just 10 people at your event. But it is not just the numbers game. NSOs focus on two areas: development and elite. The development programme is where we play the numbers game. We say our sport reaches 20,000 people or 100,000 people. But that figure is just superficial. You reach them and then what? You go in an area, you introduce this sport, 100 little children come out, you spend a week there and then you’re gone. How is that sustainable? For me, I think the NSO has to have a sustainable plan where, when you come back and account, it is not just the numbers, it is continuity. We must have a continuous programme with a league or with structures in place so that at the end of the day I can say I delivered. And yes, the more people we get playing the sport, the better. We [should] start from the bottom and go to the top although a lot of people like to start from the top and go to the bottom. The more people playing, the more people you will have to feed into your national team and the more [your sporting body] will excel. But sometimes, we operate top down here and we spend more on the elite aspect than the development. 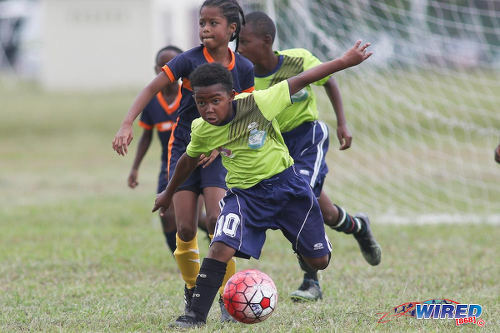 Photo: Santa Cruz United attacker Jamaludin Blandin (centre) runs with the ball during RBNYL U-12 action against Step By Step at the Queen’s Park Savannah on 24 March 2018. Look at hockey. Hockey got $1 million and they spent the whole million to carry 20 people to [the World Cup]. But at home, the turf isn’t clean and there was no league last year and there will be no league again this year. I think development will offer more benefit to your government sponsor. Wired868: And when you say sport is a public good, how do you define that? Cabralis: It is a public good in the sense that they build facilities for people to participate in sport and to run, to be healthy and to be productive. And it is one of the deliverables of the government—to make a safe, healthy society. And so when you spend capital funds to build facilities, it is really for you and I to run and keep fit. […] But I’d like to make a further point about facilities. We have all these facilities that we built and our facility management programme is about using them beyond just operations. I think there is a gap and we don’t always understand that there [is more than one aspect] in facility management. There is operations, which is maintenance and stuff, and there is the management side, which is about creating opportunities for the facility to be utilised and for it to be financially viable. Photo: A cricket fan (centre) poses for a selfie with the Forest Foods dancers during CPL the Eliminator 2 match between Trinbago Knight Riders and Guyana Amazon Warriors at the Brian Lara Cricket Academy in Tarouba on 7 September 2017. From a business perspective, our programme tries to focus on marketing, creating events for the facility, having good human resource management, good leaders, so that we can come up with strategies where we have full utilisation, which, by extension, will then move us towards financial viability. Most of the time when the conversation comes up about [the government spending money to build] facilities, you have people asking if it is financially viable. My question is [will it be] fully utilised? Because if you have facilities where nobody is using it, [then that] is the bigger issue because how can it be financially viable if nobody is using it? So our programme is really about developing strategies for utilisation and, as it goes along, you will be able to make money out of it. The facilities are supposed to be bursting at the seams with people using it, regardless of high performance, low performance. I don’t care who is using it but, from morning till 10 in the night, it is supposed to be full of people. And if you walk around, most sport facilities in Trinidad and Tobago are like ghost towns whole day. And then you want to build more. So in our programme, we look at marketing the facility and creating events for the facility. Utilisation will naturally create the opportunity for financial viability. 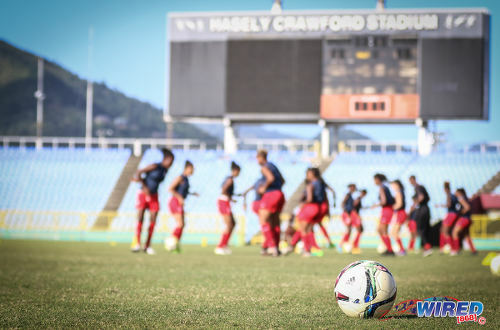 Photo: The Trinidad and Tobago Women’s National Under-20 Football Team trains at the Hasely Crawford Stadium on 9 January 2018. Wired868: Is there anything you would like to add? Cabralis: I feel like communication is getting to be a lost art. We have so many modes of communication yet we are not communicating effectively, from the NSOs, the athletes, the stakeholders. (Pause) We need to start communicating with each other. When we communicate, we know each other’s needs and can solve problems. You cannot solve problems without talking. We need more communication. Editor’s Note: The UWI/FIFA/CIES Post Graduate Diploma in Sports Management starts on 3 September 2018 while the registration deadline is 31 May 2018. Click HERE for more information. Incidentally, Michelle-Lee Ahye has restored her social media channels. Good job Michelle. 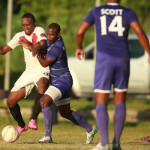 Both MLA and SC are capable professionals and have represented T&T in the highest levels of sport. Networking is unavoidable in sport and T&T is noticeably small for this to occur. Sport is social. Sports events are social events. If an image or images of MLA and SC were taken knocking glasses together at an event and was/ were taken and surfaced in the media about the same time or the scandalous article, then one may decide either way if the actions of closing the account would be justified or not. Some crosssections of the population may be dissuading their children or audience from taking the Sports Management course though SC did nothing wrong! Being mindful of SC saying, “Sporting entities need to know what is their product. The product is not just the game; it is also everything before and after the game……. It is not just about the sweat on the pitch.” I ask the Super League to be cautious with decision makng on thier product. More is at stake. It would be interesting for all of the interviews from representatives of major stakeholders of sport in the country to be tagged together so all of them will literally be on the same page. Perhaps she did not put a price tag on her dignity and her privacy. Very interesting interview. Amazed that the TTFA isn’t more involved already. Wonder how the TTFA training budget was utilised over the past year/s? Excellent point. I’d love to hear more about if the TTFA even has a training budget for administrators. Keith Look Loy do you know? I suppose, money is not everything in life! It seems that a point made on the use of social media–using Michelle-Lee Ahye as an example–has totally blinded some people about what this interview was about. But the only way to give constructive feedback is to properly read the story first. Excellent interview! Just to correct some info about MLA. I believe her personal KingLee Ahye facebook page is still up but her dedicated Michelle-lee Ahye athlete facebook page is no longer up. 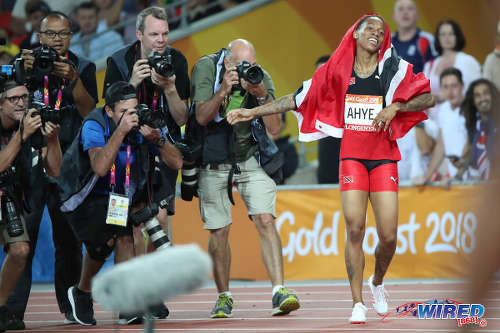 I hope MLA puts back up her dedicated Michelle-lee Ahye athlete facebook page as it was a good professional way for her to keep her fans informed about where she will be competing next during her indoor and outdoor season. From what people say, she closed most and put some on private. But I think she since resumed at least one. Some interesting points. Good interview. Thanks Kendall. Hockey got a lil jab i see. Lol. Lasana – I only play outdoor and there hasn’t been a Vets league in years. It’s ridiculous but really nobody seems to really care.